The MS2651B/MS2661B Portable Spectrum Analyzers are for use in signal analysis of radio and other equipment related to improving frequency usage efficiency, higher modulation, and digitalization. 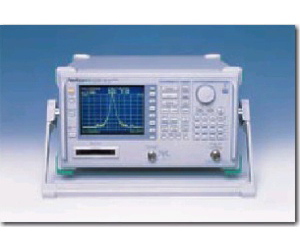 They are synthesized spectrum analyzers covering a wide frequency range from 9 kHz to 3 GHz. They have superior basic performance such as high C/N ratio, low distortion, and high frequency/level accuracies and are easy to operate. They have the Measure function for evaluation of radio equipment (frequency counter, C/N, adjacent channel power, occupied frequency bandwidth, burst average power, and template decision function) and which enables the two-screen display and FM demodulation waveform display. The large selection of options means a wider range of applications can be handled at reasonable cost. The MS2661B is designed for manufacture and installation of radio equipment and devices, while the MS2651B is used for maintenance applications.